New Zealand once again dominated at the World Hip Hop Championships in Las Vegas. The Bradas defended their title, winning Gold for the second year running! The six-person dance crew took out the “Adult World Champions” title, with second place going to Prophecy and third to Outlawz (both from the USA). New Zealand also placed in the megacrews division, with the Royal Family’s Varsity just losing out to uPeepz (Philippines) and Lock’N’LOL (South Korea). The Bubblegum crew, choreographed by Parris Goebel, won Bronze in the juniors. 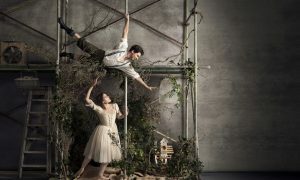 Royal New Zealand Ballet (RNZB) dancer Joseph Skelton will dance the leading role of Albrecht in The Australian Ballet’s production of Giselle in October as a guest principal artist. 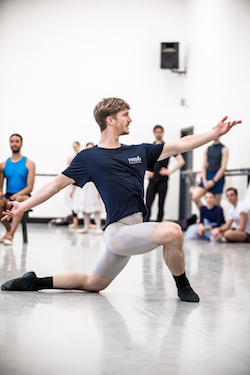 “This is the first time a RNZB dancer has been invited to guest with The Australian Ballet, and it’s a wonderful opportunity for Joseph and the RNZB to fly the New Zealand flag – he will make a great dance ambassador,” says RNZB Artistic Director Francesco Ventriglia. Joseph Skelton in ‘Giselle’ rehearsal. Photo by Stephen A’Court. The RNZB’s own tour of Giselle continues to Rotorua (6 September) and Palmerston North (9 September). Black Grace will present a new work at the Herald Theatre, Aotea Centre, from November 1 to 5, 2016. As Night Falls, choreographed by Artistic Director Neil Ieremia, is a “poetic ode to our troubled world”, set to the timeless and passionate sound of Antonio Vivaldi. This will be Auckland’s last chance to see Black Grace in action this year as the company heads to Taiwan the day after season close. The company then prepares for a six-week American tour before returning to NZ to perform in 2017. Tickets are available now through Ticketmaster: www.ticketmaster.co.nz. Famed U.S. choreographer Mark Morris has given permission for the New Zealand School of Dance (NZSD) to show the film of his work L’Allegro, il Penseroso ed il Moderato in New Zealand for the first time. 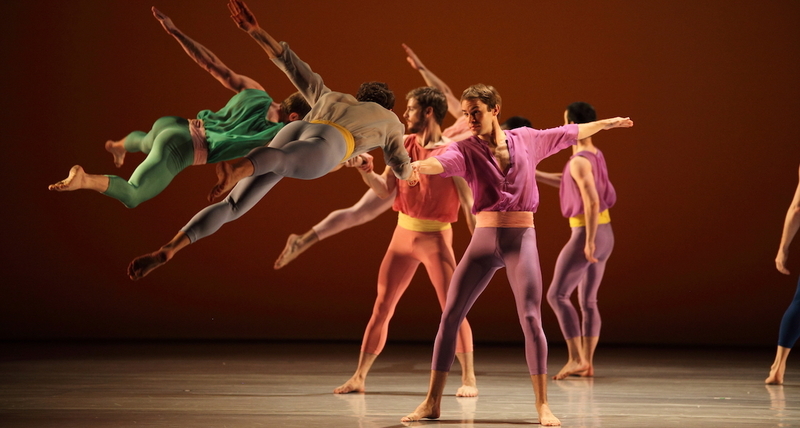 This impressive big screen experience presents the Mark Morris Dance Group filmed live in performance at the Teatro Real in Madrid in 2014. The screening on 4 October at the Embassy Theatre in Wellington is a fundraiser for the New Zealand School of Dance’s 50th anniversary events in 2017. NZSD alumni and supporters can re-connect with the School and find out what’s planned for the milestone year at nzschoolofdance.ac.nz/news/alumni. Meanwhile, during September, NZSD students will perform in the World of Wearable Arts Awards show, as guest artists at the Palmerston North Dance Association Gala and RAD 14+ Scholarship event, and in their own Insight Studio Performances in Wellington. 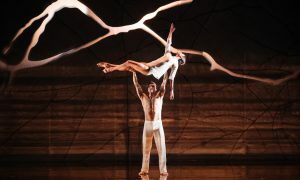 The New Zealand Dance Company (NZDC)’s YEP! Auckland Spring School is back again. Join NZDC dancers Carl Tolentino, Chris Ofanoa, Katie Rudd and Chrissy Kokiri for a full week of contemporary, fusion, ballet, yoga and swing classes, as well as the co-creation of a new work. There will also be a Dance Off at the end of the week. The Spring School takes place from October 3 to 7 at Wellesley Studios in Auckland and is open to ages 11 and up. There is opportunity for financial assistance. If you would like to apply for a scholarship, please email Kerry-Ann at kerry-ann.stanton@nzdc.org.nz. 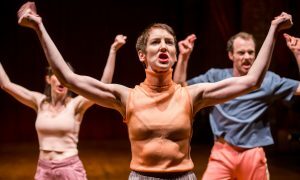 Tempo Dance Festival has announced its 2016 programme for the 13th annual event, which runs from October 4 to 16 in Auckland. 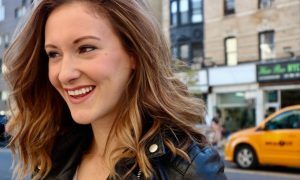 Besides world-class performers, audience members and the community will be engaged through a series of workshops, events and post show forums. Included on the programme is a remount of Michael Parmenter’s 1985 duet Insolent River: A Tango, and Taumata – Four New Works – a line-up of stunning and powerful new pieces by four of New Zealand’s leading choreographers, including the Royal New Zealand Ballet’s Loughlan Prior. VOU Dance Fiji brings a striking new production VU to the stage, and Tempo’s Artistic Director Carrie Rae Cunningham has curated a Pacific showcase titled SIVA Niu Sila, featuring choreography from Jahra Rager, Nikki Upoko, Tupua Tigafua and Katerina Fatupaito. These are just a few season highlights. For a full programme of events, head to www.tempo.co.nz. Photo (top): A still from the Mark Morris film, ‘L’Allegro, il Penseroso ed il Moderato’. Photo courtesy of NZSD.